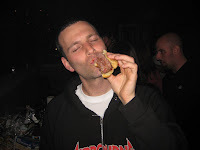 THE HAPPY BIRTHDAY BACON BURGER CONQUEST SURPRISE! 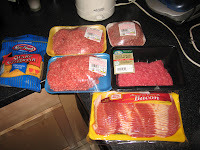 Nothing says I love you like a burger made with 4 kinds of beef, beer and bacon and cheddar hidden inside of it! 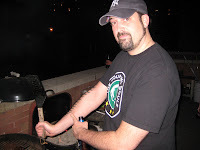 First you fry the bacon. Don’t throw away the bacon grease yet. 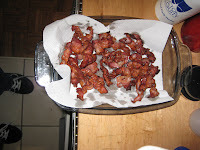 When the bacon is done put it in aside in a dish that you line with paper towels (to soak up the excess grease.). 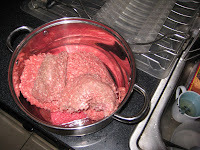 Combine all the beef in one bowl or pot. 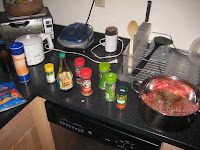 Add in all the spices, soy sauce and beer. Pour in 3-4 Oz of the bacon grease. You can discard the rest. 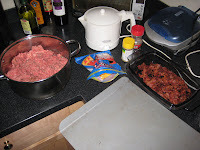 Using a spatula, stir and blend the meat and spices thoroughly. 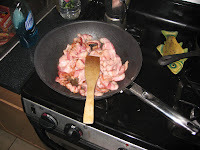 Once the bacon has cooled down, chop it up into small pieces. 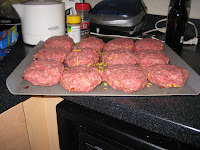 Fashion half the meat into 12 patties and place them on the cookie sheet. 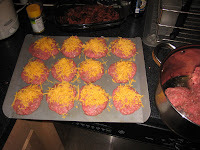 Place a good sized sprinkle of cheddar cheese on top of each patty. 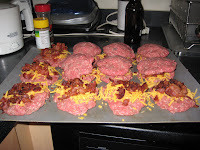 Make another 12 patties and place one on top of each of the bacon-cheddar topped patties. 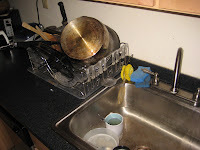 se at someone else’s house, be a nice guest and clean your dishes! 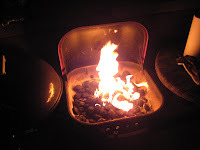 Start up your grill and get a good flame going. 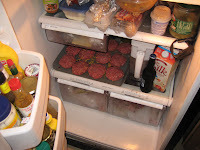 If you are cooking for sometime, save the burgers for later. 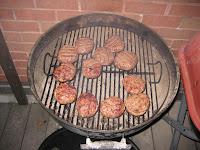 Place the burgers on the grill and allow them to cook to your liking. 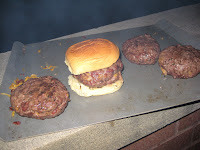 Try to flip as few times as possible to help the burgers keep form. 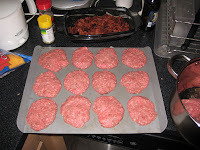 As the burger cooks, the grease from the cheese and bacon will cook through the entire burger, creating a very delicious taste. 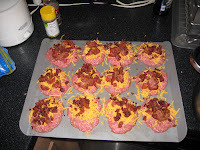 Serve them to your friends and watch their faces light up when they bite in to find the bacon and cheddar hidden in the middle. It’s a birthday present for everyone! 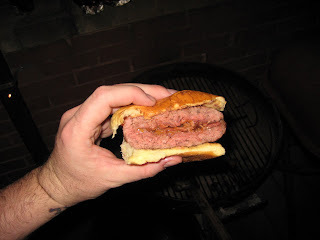 This entry was posted in BBQ, Beer, Burgers, Hamburgers, Recipe and tagged bacon, bacon burger, best burger, burger conquest, cheese, ciancio, french fries, griil, grilling, hamburger, happy birthday, nyc, recipe, rev, review, surprise. Bookmark the permalink.